Italian jeweller Marco Bicego opts for minimalist elegance with this delicate 18ct yellow gold necklace. 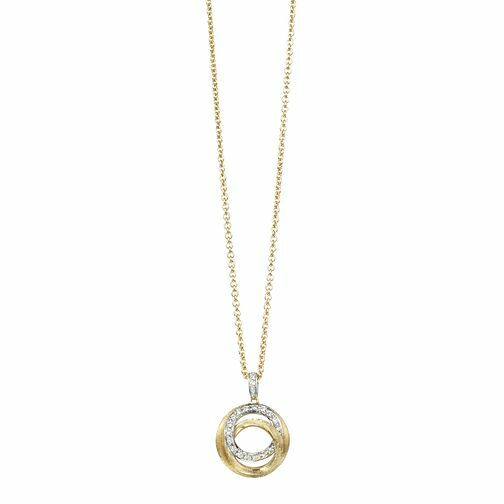 The fine chain is set with a simple pendant of overlapping, open circles, one of which is finished with an embellishment of precious diamonds totalling 16 points. Sleek and versatile, this necklace is perfect for everyday wear.